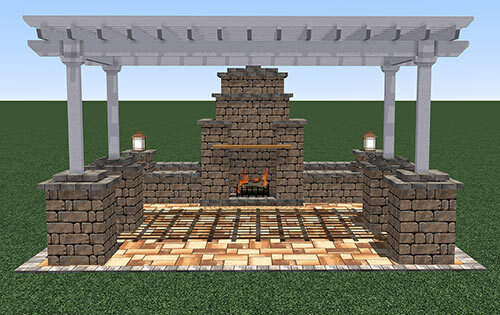 This alluring patio is a great all season addition, incorporating a cozy fireplace that creates a wealth of warmth during long chilly nights, as well as a welcoming ambiance. 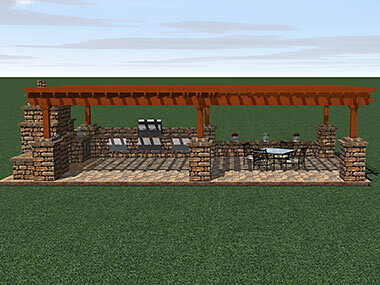 Perched above, the pergola offers a shady retreat from hot sunny days. 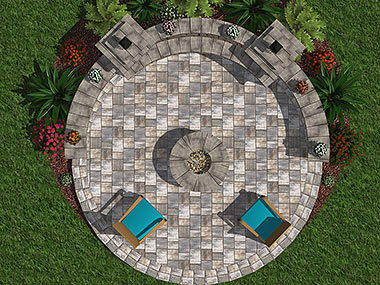 Created with our Bluestone pavers in Sand Dune and Stonegate Wall Block in Oak Run with a Granite accent, this patio ties many elements together seamlessly. 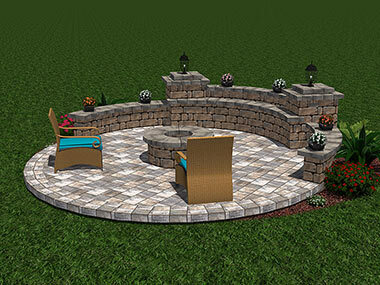 This charming Stonegate seating wall with dual lighted accent columns create a natural boundary that frames out the patio area beautifully. 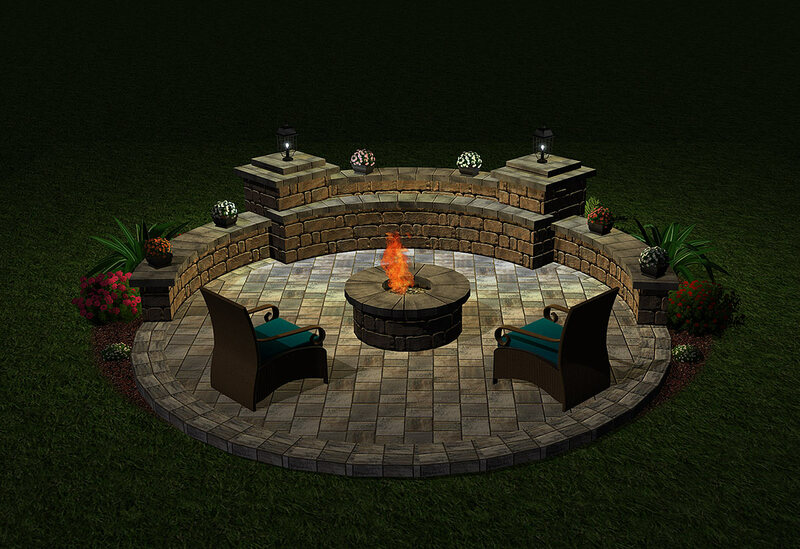 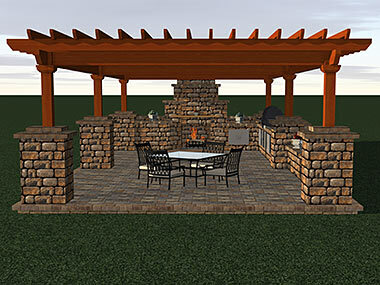 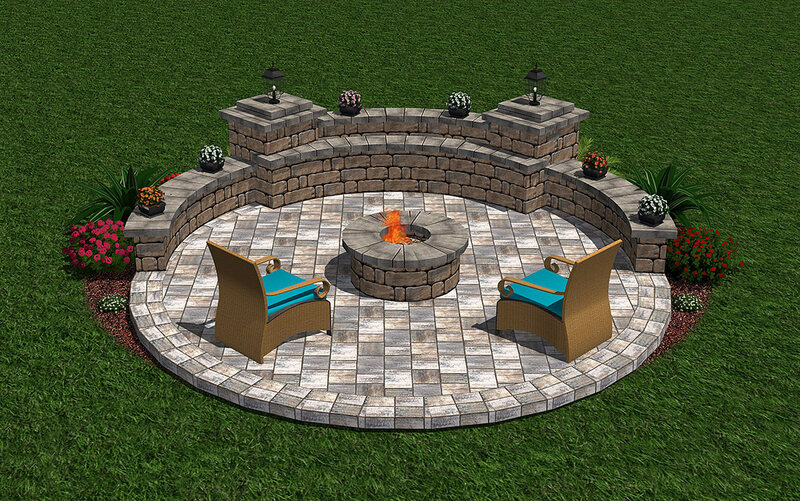 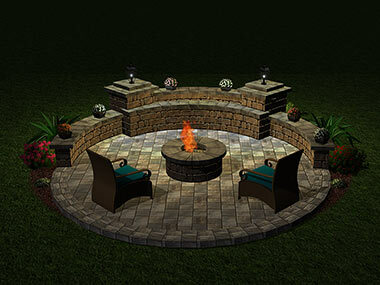 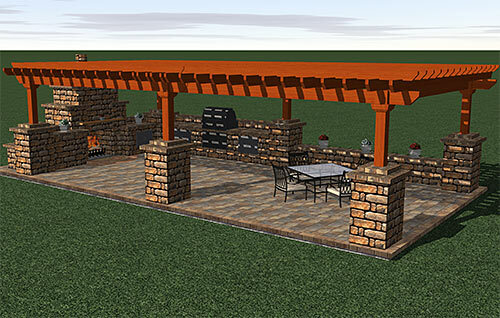 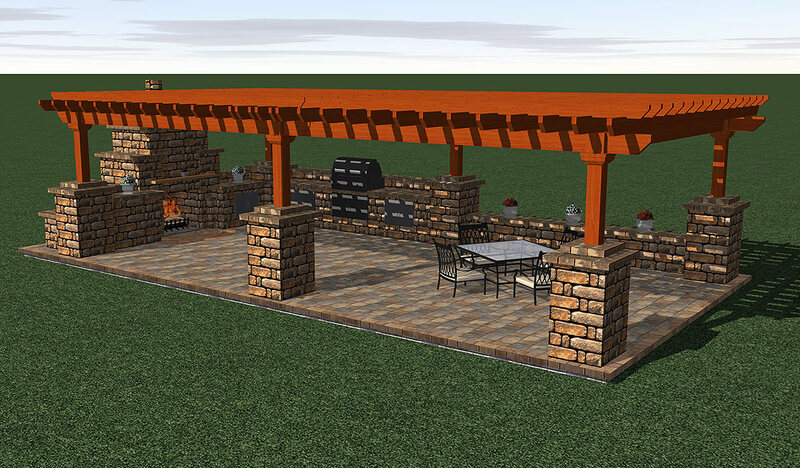 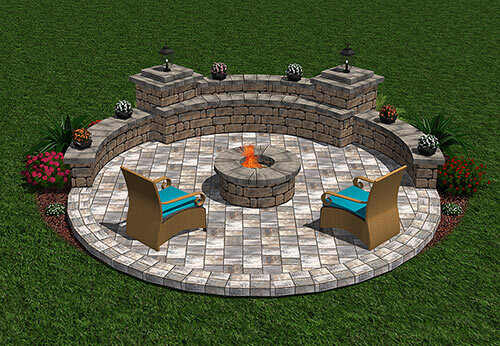 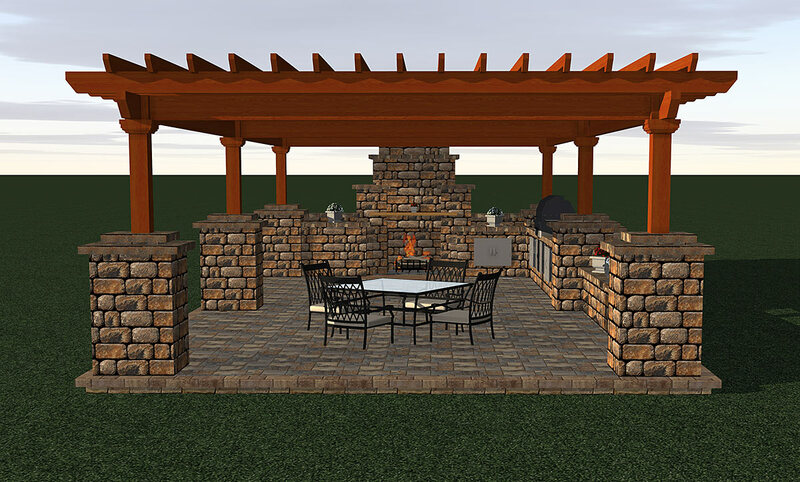 Additionally, the wall acts as extra seating, creating a naturally inviting gathering place for guests to come together around the fire pit. 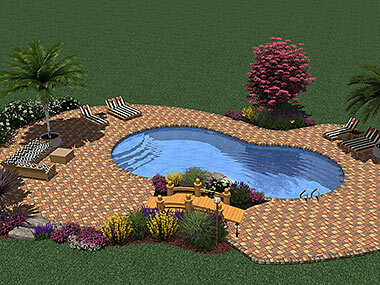 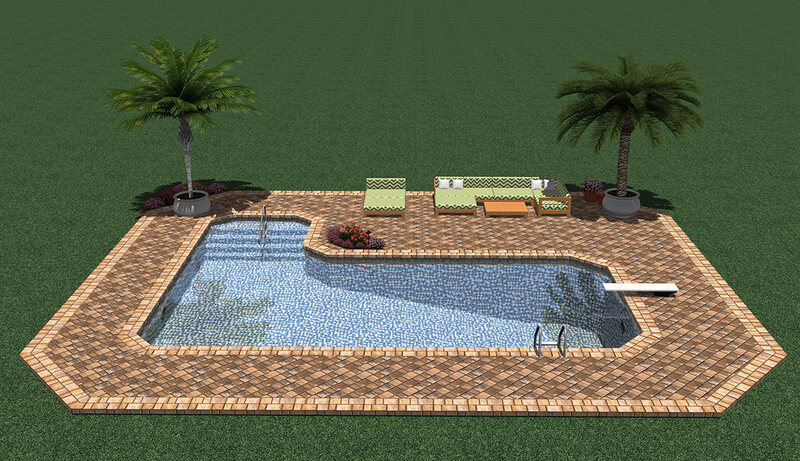 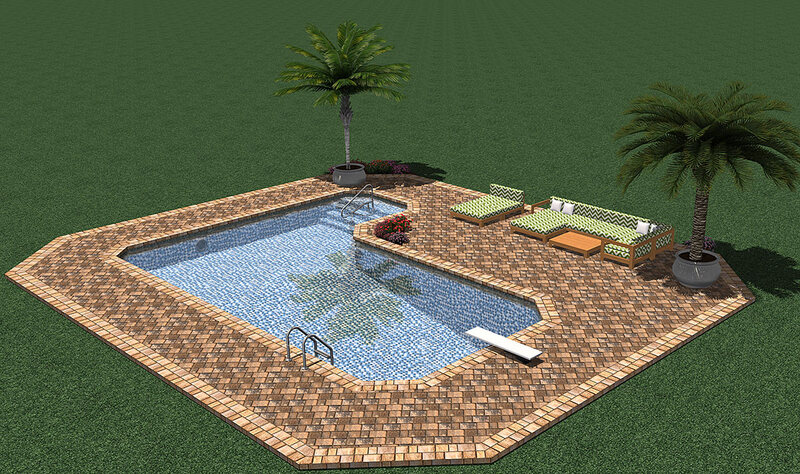 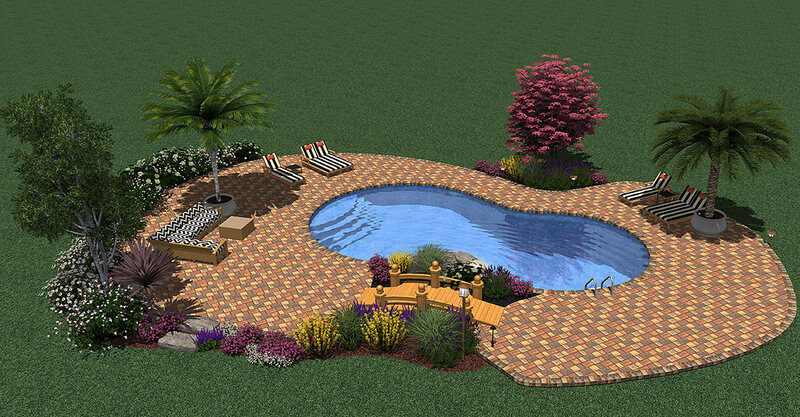 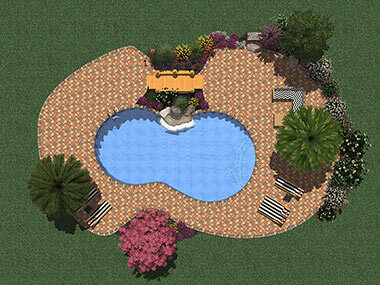 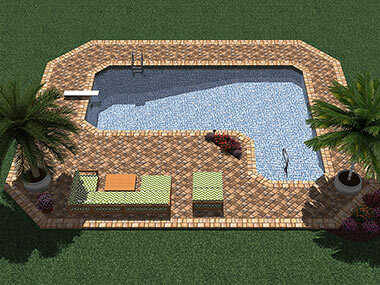 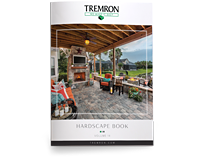 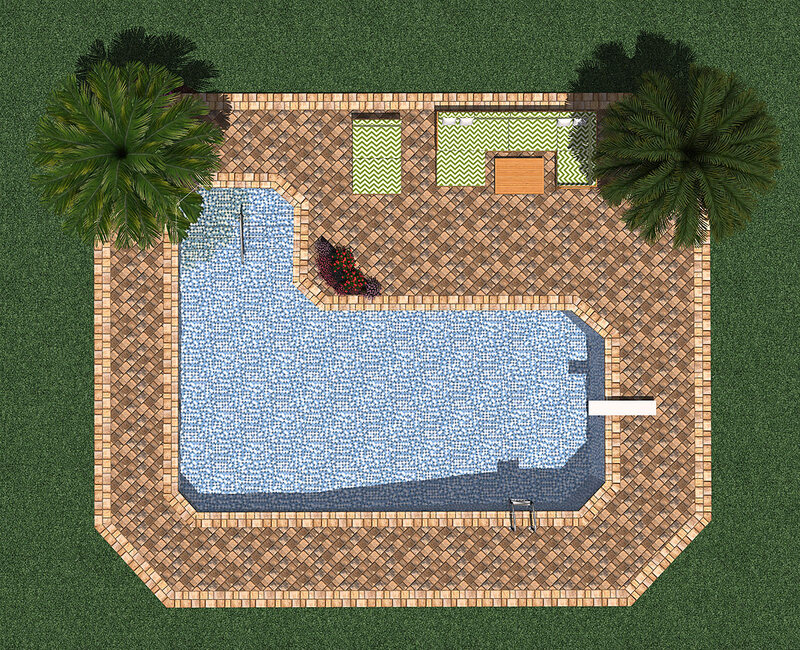 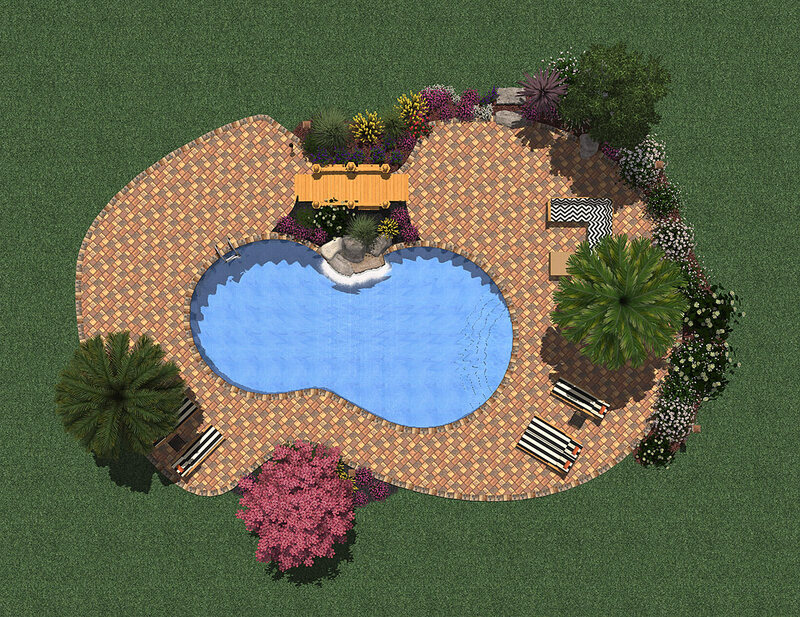 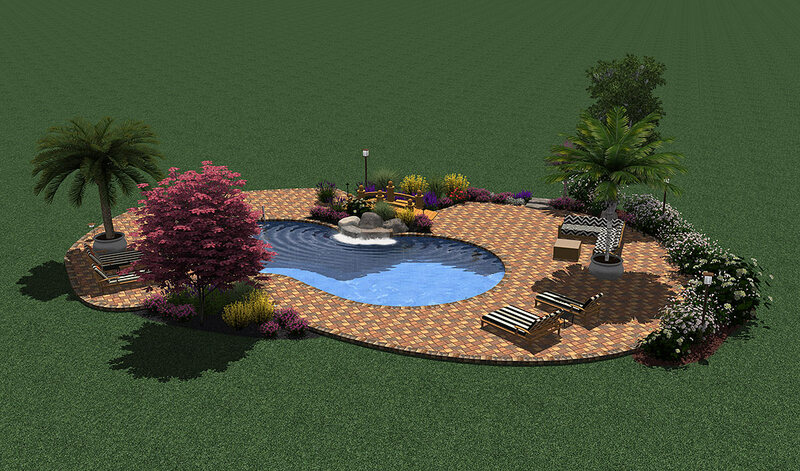 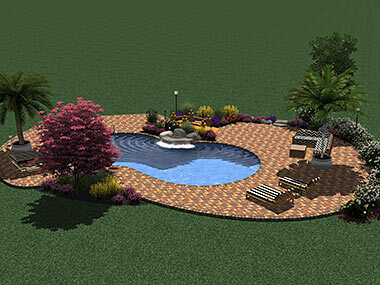 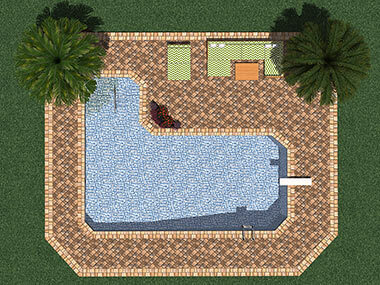 Take a vacation anytime in your own backyard with a custom nature inspired pool deck from Tremron. 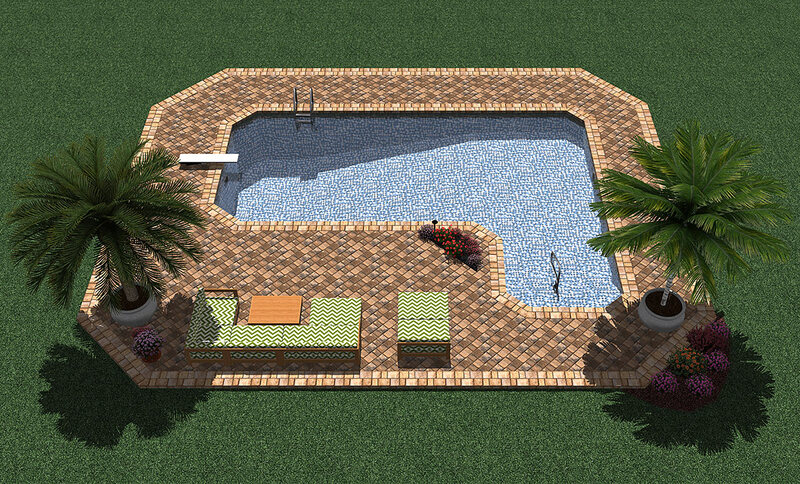 The extra-large surrounding deck offers ample space for furnishing and entertaining. 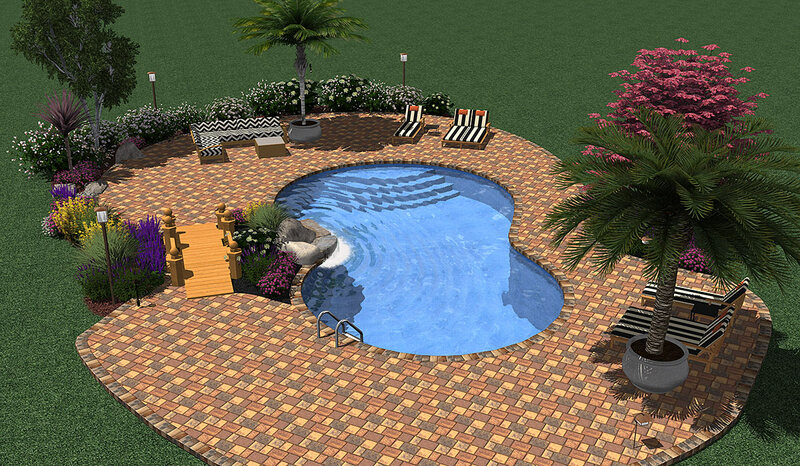 This attractive patio features our popular Mega Olde Towne Pavers in Autumn Blend with matching Bullnose Coping around the pool and patio edges. 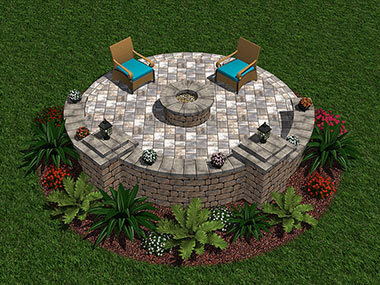 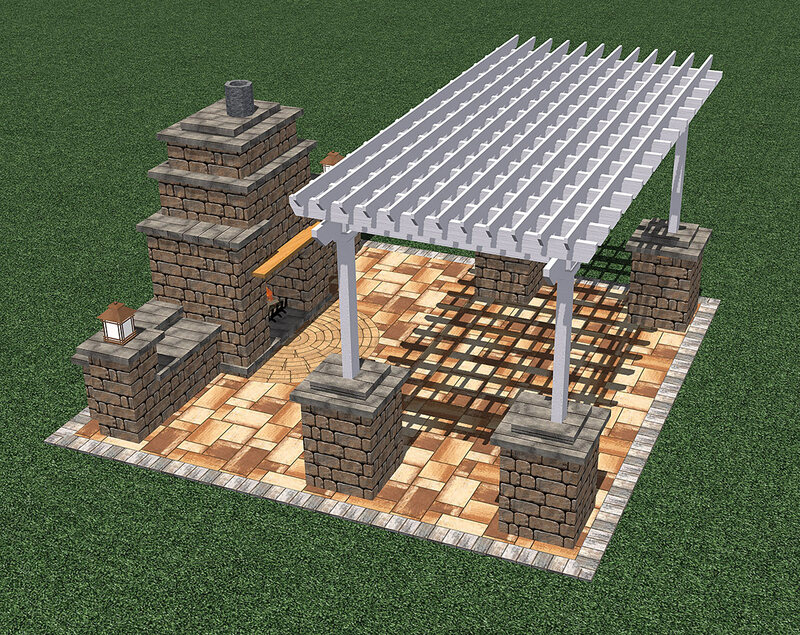 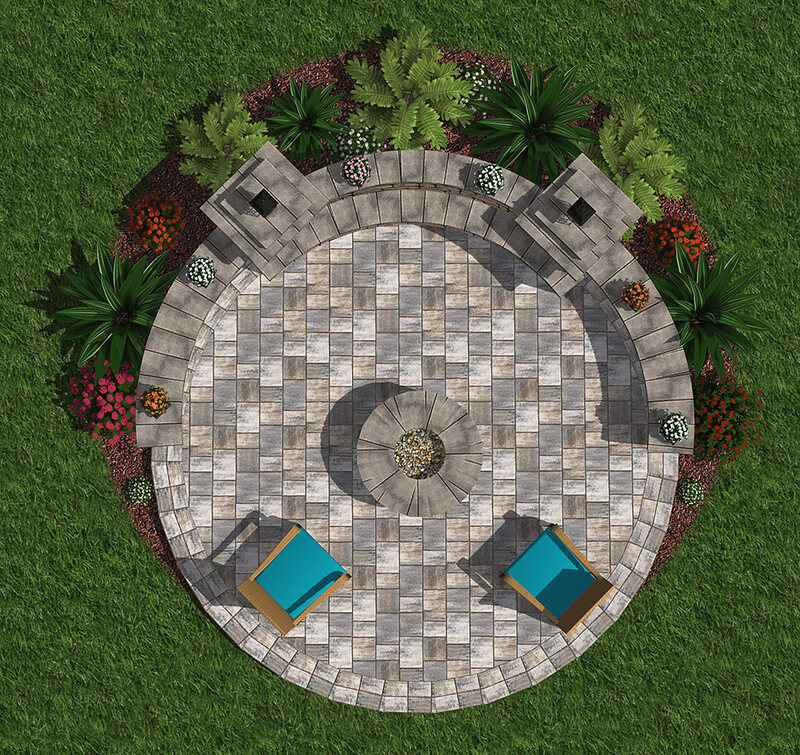 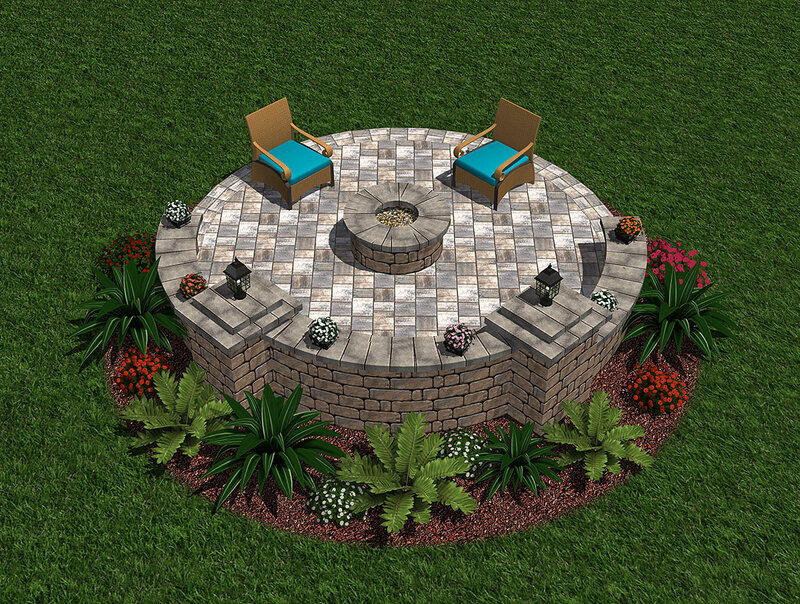 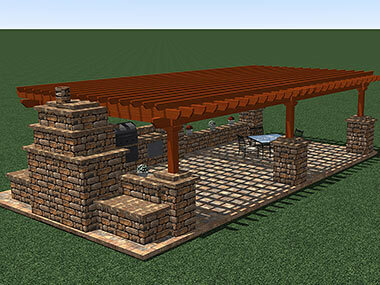 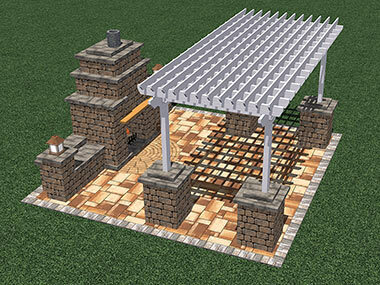 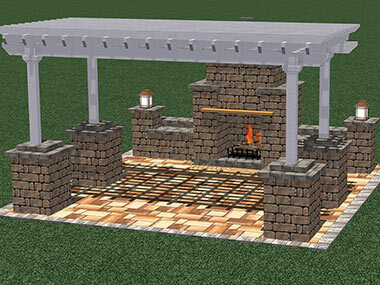 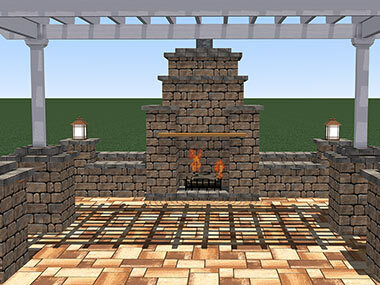 Enjoy the outdoors all year long with this multipurpose paver patio. 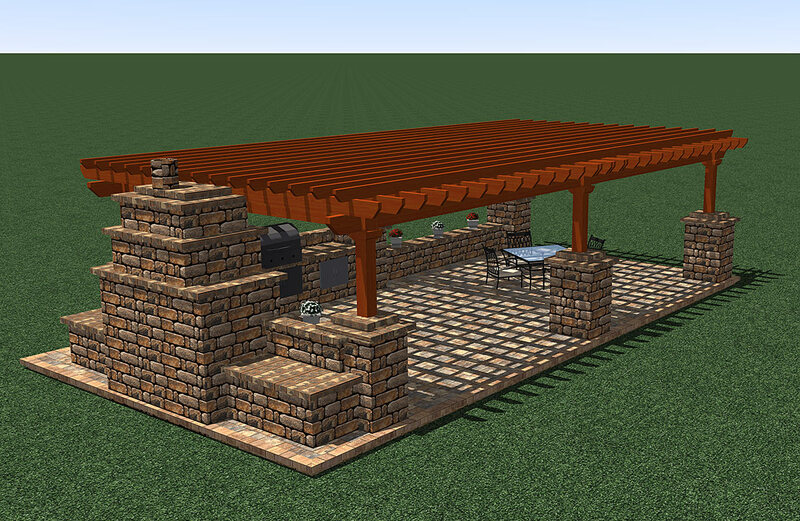 The built in grilling station includes plenty of counter space for prep and serving. 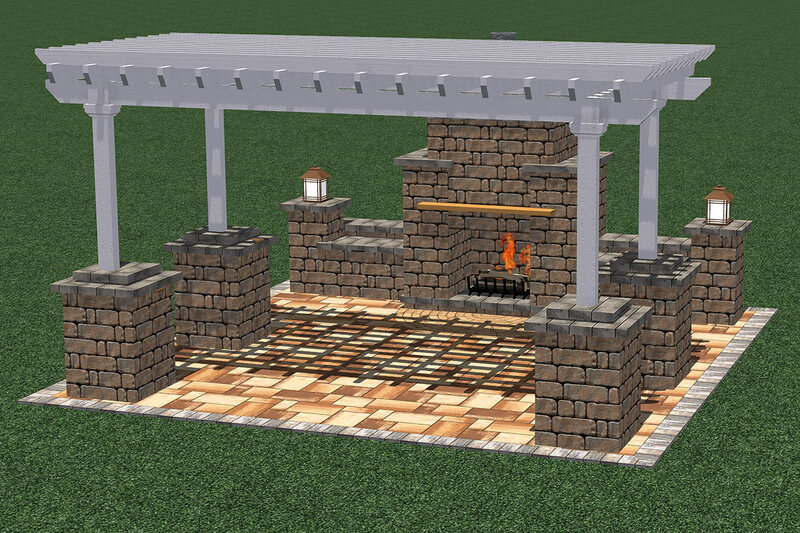 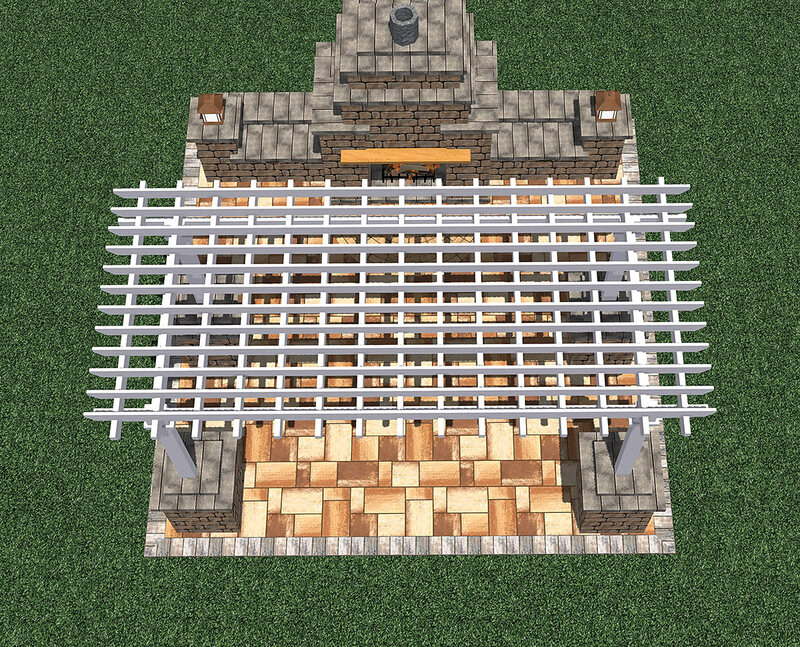 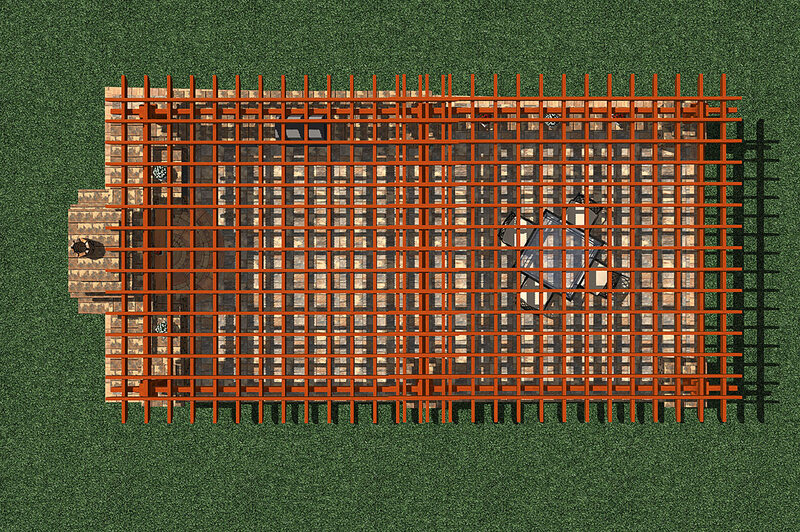 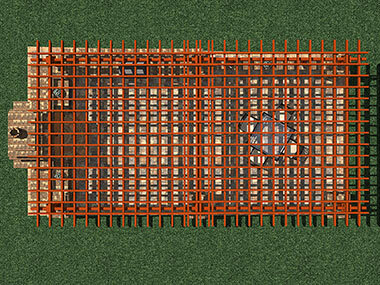 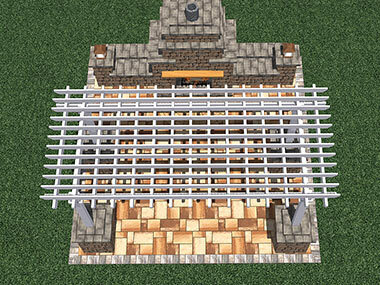 Abundant dry storage is also incorporated at both the grilling station and fireplace, allowing for stowing of utensils, supplies, and wood. 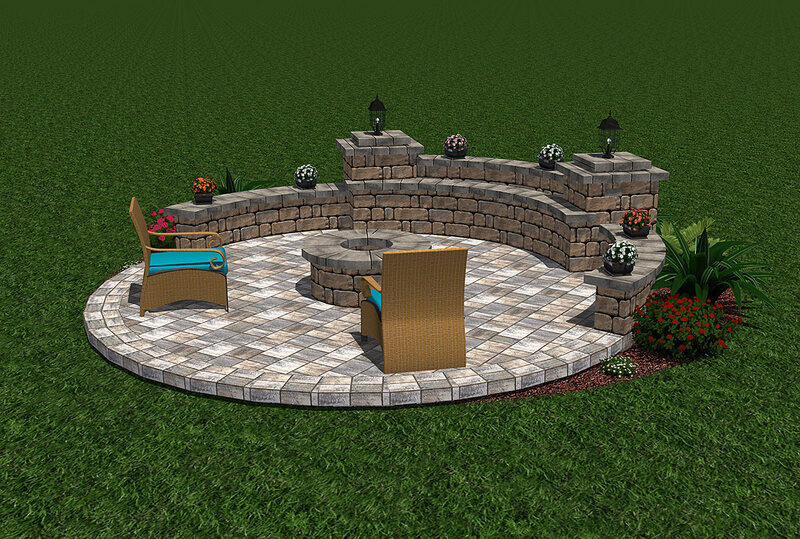 In addition, the large space provides a sufficient area to include a dining set or seating furniture of your choice. 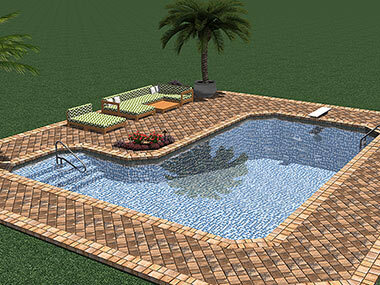 Traditional doesn't have to mean boring and this pool deck exemplifies that. 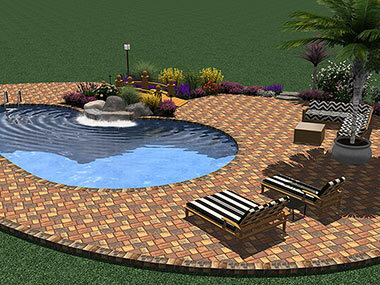 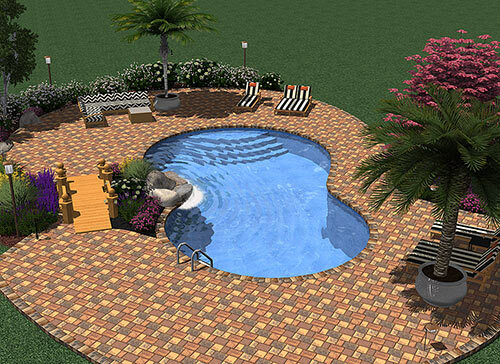 Mega Olde Towne pavers in Sierra blend set in a diagonal are accented with a double row border of Sand Dune creating an amplified sense of style. 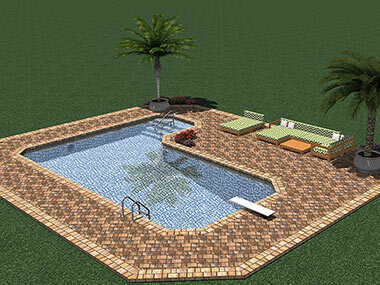 Even with a narrow pool surround, a nice open space has been left for furnishing and lounging.